It is important to pay attention to quiet people. They should never be mistaken as people who do not have rich interior lives or something to say. They are just not all in your face with it. I am not a quiet person (LOL have you noticed??!) but I am a pretty good noticer of quiet people. If there are any 8th graders out there reading this, I will let you know that the quiet people are the best people to ask to dance at the 8th grade dance (remember dances, guys? I miss dances. so awkward). 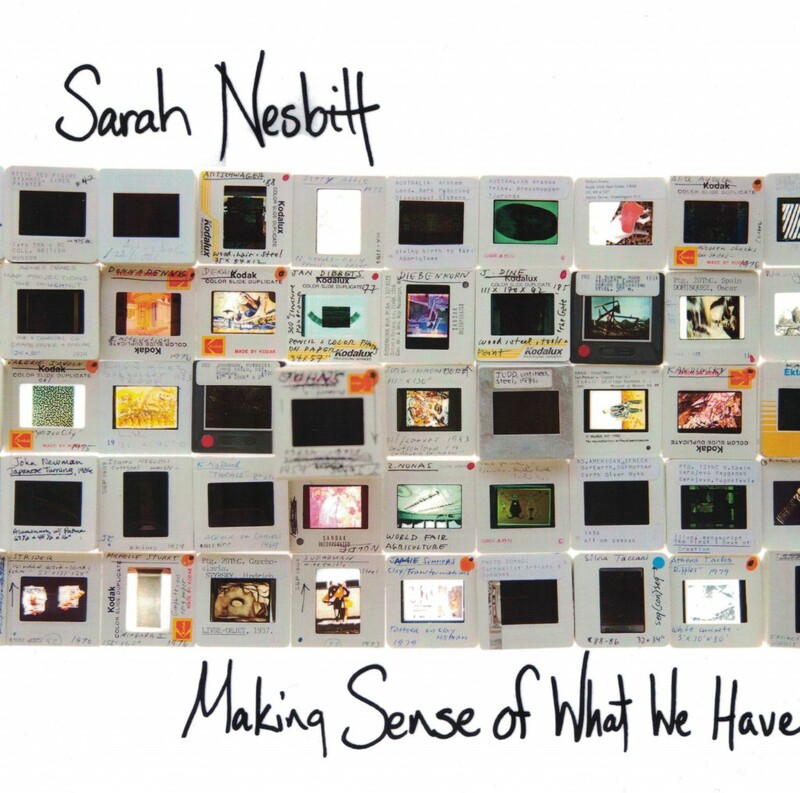 Anyway, what I’m saying is, Sarah Nesbitt jumped right out at me as still water that runs deep. What I had not expected to find, once I got in there and started splashing around, is an artist who has beautifully aligned her personal practice with the career-sustaining force of teaching art. I know a lot of artists who teach, but in a lot of cases, it is something largely separate from their creative mode. A lot of Sarah’s work, though, is dealing directly with art history, the canon, research methods…and the deep and understandable frustrations one experiences, once you really start casting about within history, looking for answers. Because it’s subjective, right? Can we agree on that? I know thinking of things as facts makes us feel warm and secure and like we did not waste tens of thousands of dollars on our educations…but “fact” changes all the time, based on new technology, new understanding, new breakthroughs. Guarantee that the darling diet food of the moment will be revealed to have horrible health drawback in six weeks (or here’s a thought: DON’T JUST EAT ONE THING, EVER, IT IS NEVER A GOOD APPROACH WE ARE OMNIVORES. you’re welcome. enjoy a sensible physique). Works of art attributed to one person are sometimes revealed to be not-by-that-person. Our understanding of the circumstances and players at a given historical moment is unfortunately limited by the decisions made by people at the time, to preserve stories, memories, artifacts. We don’t know what happened. We just know what remains. This is what makes storytelling such a powerful political move. “The whole of our history is about hopes being sustained, lost and renewed”–Sarah lifts this quote from John Berger for a project of same name. I think the majority of people rely on creating new people (often known as children) in order to preserve their stories, their history, their legacy. Artists and academics take a slightly different tack (although some of them have kids, too…let’s not go there today, I’m already overwhelmed)–creating objects or recordings that hold ideas, history, stories. We tend to be very concerned with this, and so we should be. We are gambling heavily that finding a way to tell our story truly will protect it from being lost or destroyed. Sarah’s work, which is exactingly researched and painstakingly assembled, has a feel of struggling against despair over the things we are losing. We are losing things every day. But wait, all is not lost! I really subscribe to the belief that art history can be accessed through art present. For every moment of sadness we might have over a lost work, a lost icon, a lost history, we are ignoring the present moment, full of people and work and stories that are not yet lost. I consider it my work to spend as much time as I can taking in art and ideas and stories from the present moment–and I try to do this without judgment, because it is sometimes impossible to tell in real time what will turn out to be critically important later. It isn’t always the thing that makes the most noise or grabs the most attention. Sometimes it is a really quiet thing, that turns out to be the most important. That’s why I do my best to notice them.